For years the small fishing and farming community of Rossport Ireland has been the center of a controversial struggle between the rights of its inhabitants and the power of large-scale fossil energy development. 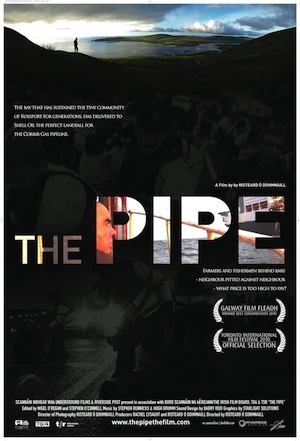 The recently released documentary “The Pipe” tells the story of how this small community took on Shell Oil and the Irish State in its fight to preserve a community and a way of life. Visit our sister site TheGreenWashingBlog for more details and to watch a trailer of this award-winning documentary.